Montana sportsmen usually don’t want a gift from a Fish, Wildlife and Parks game warden because usually it comes in the form of a citation. But after their annual blood drive their gift might just save your life. The drive saw 23 wardens donate blood, breaking their goal of 15. 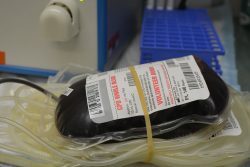 According to the Red Cross, one collection unit can create three life saving products. The donated blood will directly benefit Montana hospitals. “Combining our training seminar with the opportunity to give back to the community was an easy decision and incredibly worthwhile,” said Dave Loewen, Chief of the Law Enforcement Division of FWP in a Monday news release.